Just like everyone else the Founders of OurOnline.Company used other web host services prior to starting their company. Consequently, we were price gouged for years, and our domain names weren't renewed. In addition, our hosting packages were switched without notice. Most seriously, we lost the Rights to what we thought was our own content. By 2015 we'd had enough. That year we put our decades of IT experience to work to start a different kind of company. OurOnline.Company focuses on great services at affordable prices. We ensure that you own your domain names, the legal pictures you post, and the legal content inside your hosting environment. Above all, at OurOnline.Company, our passion is delivering products and services at prices that you can afford. Plus, we strive to offer the support to make your experience with us a wonderful one. Our drive for success is why we offer Microsoft 365 products without a price markup. Maybe that's not too significant, except we take things a step further by offering three tiers of tech support instead of only one! OurOnline.Company gives you the option to interact with direct support at each level of our organization. 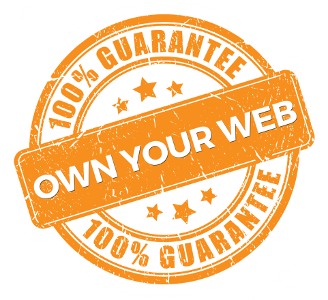 We stand behind our slogan and motto, "OWN YOUR WEB". OurOnline.Company provides stable prices for the premium server space, domains, and Office 365 products you need to accomplish everything you do online. Together, we make sure you own what you think you do, and all within your budget. Breathe easy, OWN YOUR WEB!